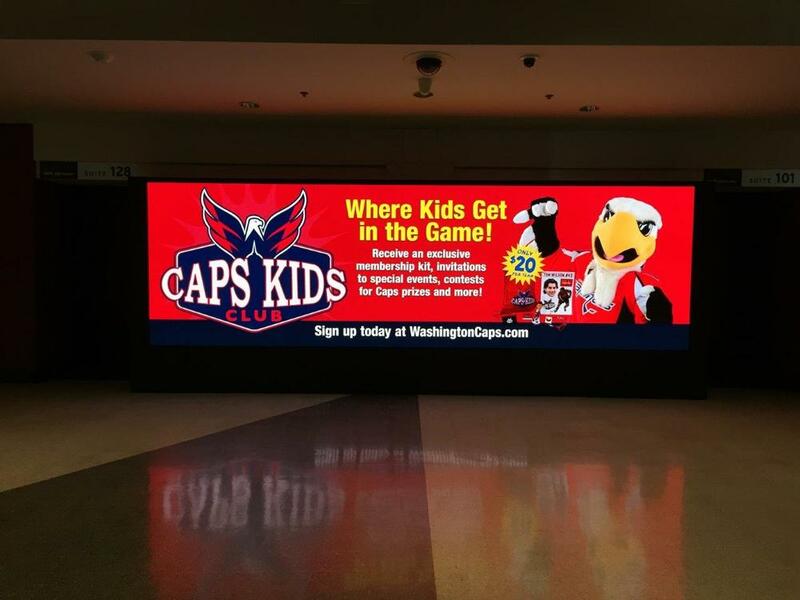 601 F St NW, Washington, D.C.
S|N|A manufactured and installed a high-resolution LED video display in the concourse of the Verizon Center in Washington, D.C., home of the Washington Wizards (NBA), Washington Capitals (NHL), Washington Mystics (WNBA), and Georgetown Hoyas men's basketball (NCAA). The interior LED display features a 1.25 mm pixel pitch, meaning the distance from the center of one pixel to the center of an adjacent pixel is only 1/20 of an inch, or slightly longer than the width of a credit card. 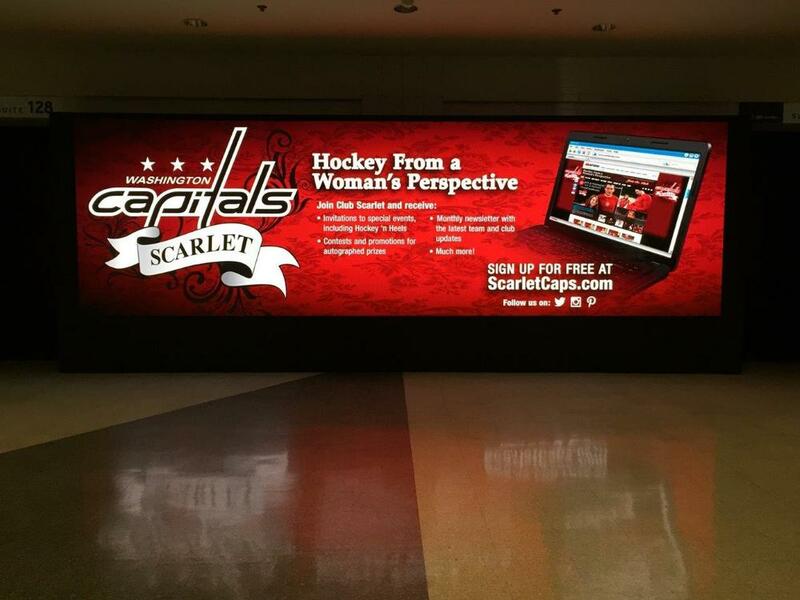 It is the only 1.25 mm LED display in a U.S. sports arena. 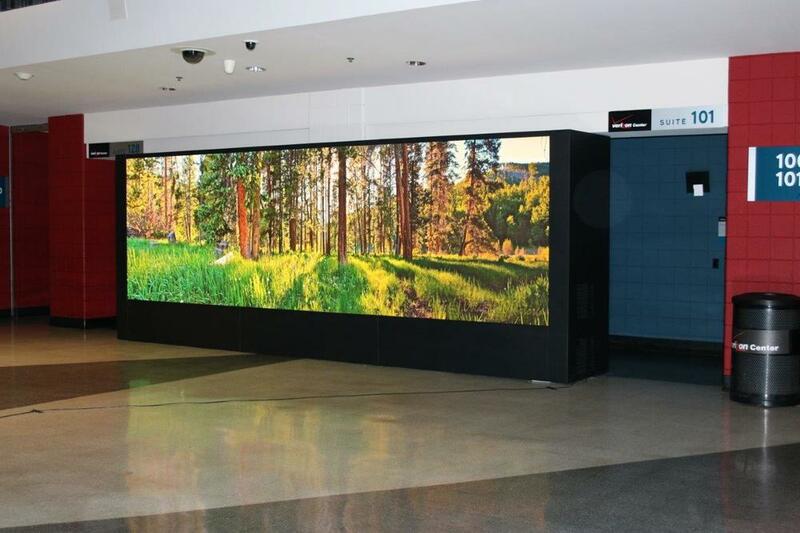 The display is approximately 7'10" high by 21'1" wide and 1,440 x 4,800 pixels. Despite being only 165 square feet, the concourse display is comprised of 6,912,000 pixels because of the incredibly tight pixel pitch. 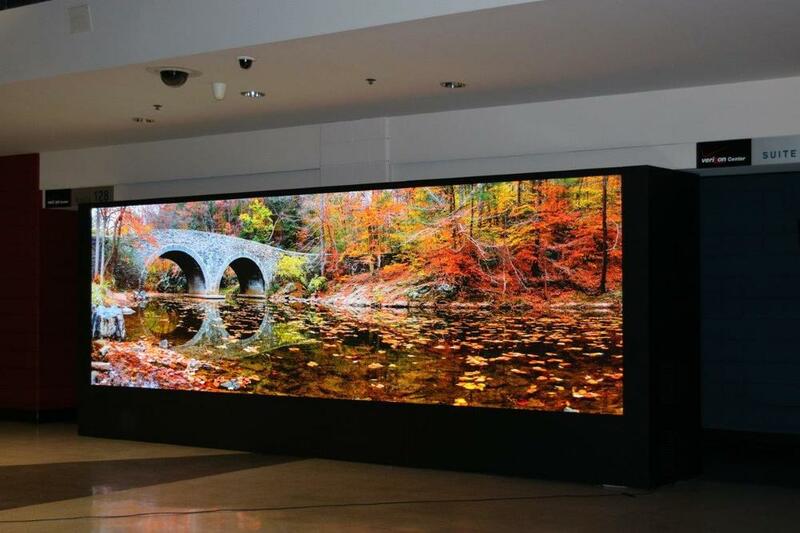 This is more resolution than many of the large-format video screens found in Times Square or many sports facilities in the United States. "Installing one of the tightest-pitch permanent displays in the country created some unique challenges," said Carl Hubben, project manager for the concourse display project. "Eliminating seams on such a tight product takes a great deal of attention to detail in the design stage for the display's structure and subframe. We relied heavily on the skill of our project team during the installation process." Because of the tight pixels, which blend to the viewer even at close proximity, the display looks like an LCD display. However, because of the LED technology, the viewing angles and brightness are much better. "Even at three feet away, it's very difficult to distinguish individual pixels," said Hubben. The display has a higher NIT rating (brightness) on its off-axis angles, which is indicative of its excellent viewing angles. The LED video display has a viewing cone of approximately 179 degrees. 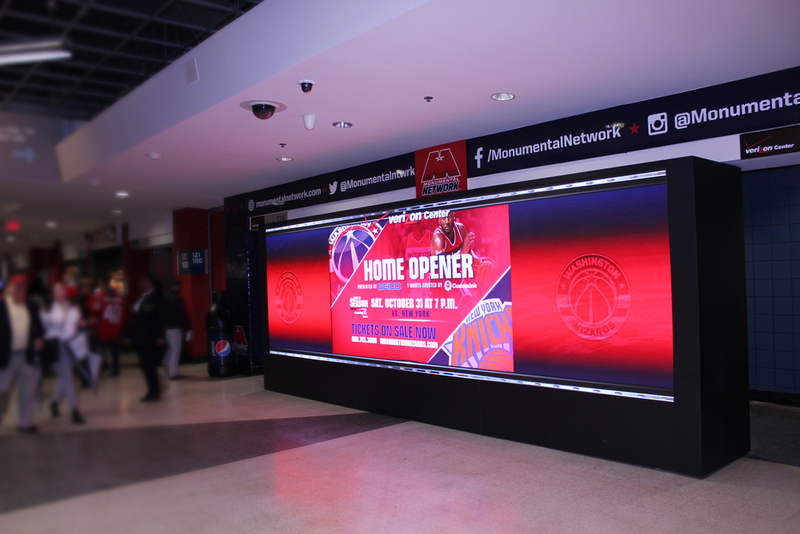 S|N|A custom-designed and fabricated the enclosure and access doors for the concourse video display. 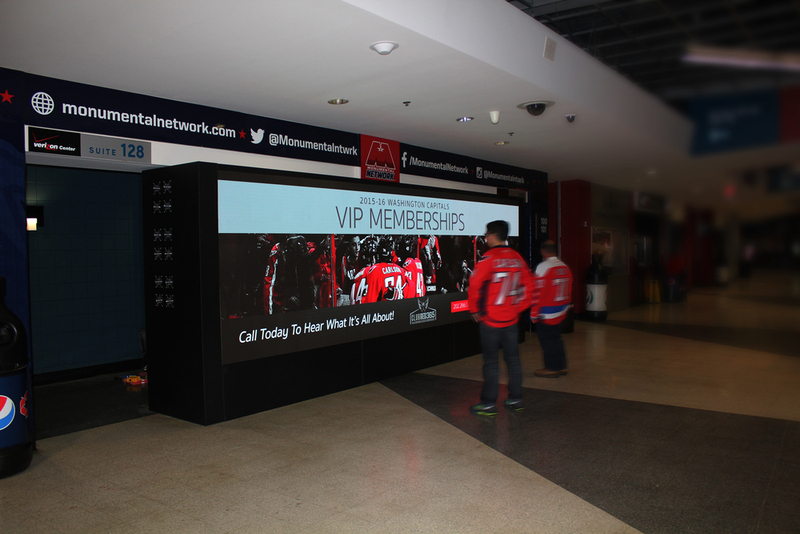 The concourse display was procured by and owned by Monumental Sports & Entertainment. 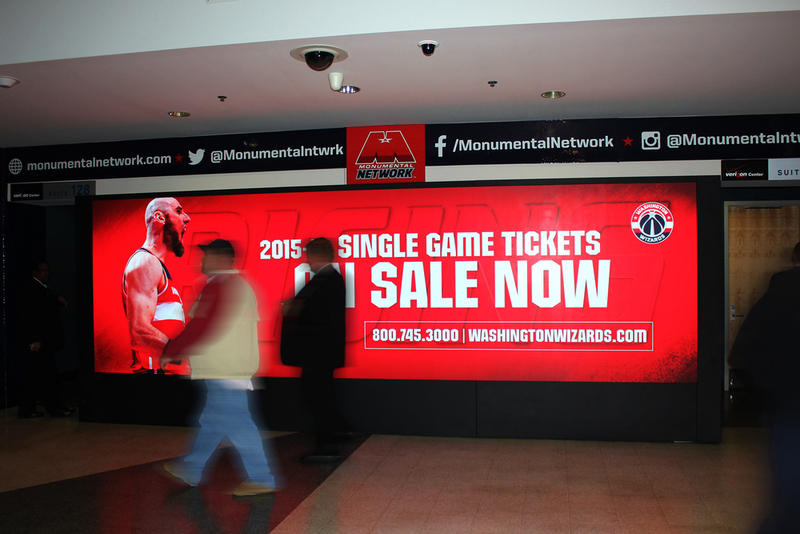 S|N|A manufactured and installed nine exterior displays for the Verizon Center in 2013.